I have been avoiding writing this blog for at least a week, maybe more. Actually its nine (9) days but who is counting? What I wanted, in reality, was for it to be better than anything I wrote. 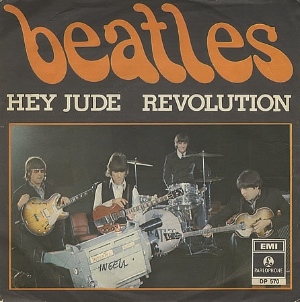 The words to the Beatles “Hey Jude” song, “…take a sad song and make it better, better, better”kept rattling around in my head. And then I got to thinking, always an adventure for my “made in outer space” brain. In fact they will freely admit that their bowling center is like all others. The lanes, the balls, the pins; all have to meet exacting specifications as established by the USBC. But that is far from the point as proven by the advent and growth of boutique centers and BEC’s (Bowling Entertainment Centers where bowling is the lynch pin in the facility). It is predominantly in this segment where we see huge revenue per lane numbers. Whereas the average center hovers around $38,000 annual revenue per lane; it is not unusual to see a BEC do two or even three times that number. Awesome! How did he do that? First he hired workers and paid them $5 per hour as compared to the industry’s then standard of 50 cents per hour. His assembly line process cut the manufacturing time of cars virtually by two thirds. So here was Henry, producing the Model T, a ‘better” car sold at one third of what other vehicles of the day sold for and was produced in less than half the time. The result was the ubiquitous Model T that outsold every competitor by at least a 2 to 1 margin. If you step back and look at other products you will see that the search for better products is never ending; unfortunately not so much in the bowling industry. Now I am not talking about automatic scorers and bumpers and glow in the dark lanes, I am talking about your open play and league products. Take an existing product like cosmic bowl. Everybody pretty much runs it the same way. Turn off the lights, crank up the music, take requests and have it. Where is the quest to make that product better? Here are some ideas I brainstormed with a few 21 to 25 year olds. 1. Have live bands at least a couple of times a month. 2. Run dance contests in the bar or on the concourse or on a wooden dance floor you put down on the concourse. 3. Conduct theme parties for 70’s, 80’s and 90’s decades as well as country and rap music on a weekly basis and award prizes for best outfits that represent that period. 6. If you have the kind of equipment that can set up different spares, then do that in the 1st game; bumper bowling where you have to hit at least two rails in the 2nd game and 9 pin no tap in the 3rd game. 7. Run a karaoke cosmic contest where each lane of people have to sing at least some part of a song together and let the other lanes rate them. The winning team gets cool cosmic karaoke t shirts. 8. Cover the masking units so the pins cannot be seen when the bowler bowls. He only sees them on the overhead monitors. 9. Run the 40 frame game in a cosmic fashion with prizes at the end. One of my friends, a Wall Street type guy went to Frankfurt Germany to negotiate a deal. When he arrived at his hotel and opened his suitcase, he noticed that as a result of his toothpaste tube pretty much exploding; his two business shirts had light green stains on them. In a panic mode, he raced down to the concierge who assured him that a men’s clothing store was directly under the hotel and his shirt problem would be efficiently solved. As he made his purchase, the owner suggested he try it on and then the store’s tailor would press it for him. As he was trying it on, he noticed that the mirror was more like an LED screen. He pushed the start button and the menu said things like “suggest a tie, suggest a sweater, and suggest trousers. He pushed the suggest ties button and thru the magic of technology, there he was with his shirt on and various ties kept popping up, neatly tied around his neck which he could see on the LED screen. Moral of this long story: if you are not constantly trying to improve your product, then you are going backwards because other centers, other entertainment options will do the same thing, only better” and customers always want better. Always. P.S. I sincerely thank all of you for faithfully for reading “Fredquarters Blog”, engaging with me and giving me the opportunity to be of service to you. I sincerely hope you like this “Better” blog. I wish you a great fall kick off..